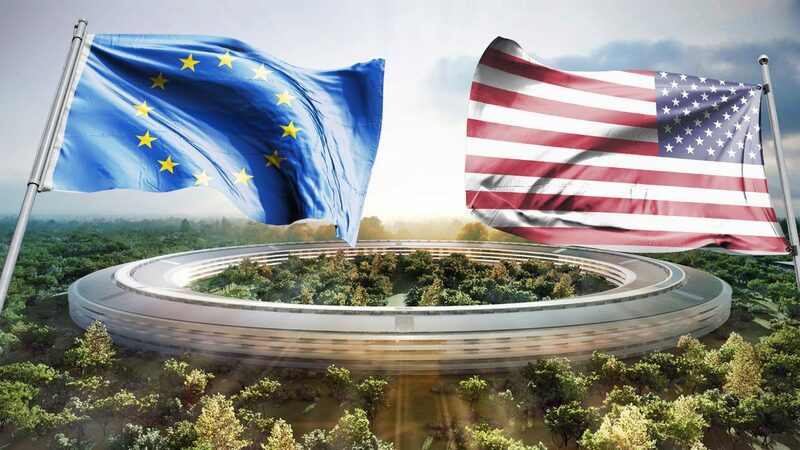 It was revealed this week that the U.S. government has filed to intervene in Apple’s ongoing European Union tax case, according to a report from Reuters. The U.S. is reportedly siding with Apple in the company’s appeal of a controversial order to pay back up to 13 billion euros (approximately $14.8 billion) in Irish taxes. The European Commission ruled last August that Apple’s longstanding deal with Ireland had allowed the company to avoid paying its appropriate amount of taxes, with the Commission finding that from 2003 to 2014, Apple paid between a .005 and 1 percent tax rate compared to Ireland’s effective corporate tax rate of 12.5 percent. The Commission calculated that this meant that Apple owed Ireland (and, by extension, the EU) billions in back taxes. Apple refused to pay and, along with Ireland, quickly appealed the ruling to the EU’s General Court. The company claims that the European Commission erred in its findings, failing to recognize that the vast majority of its “profit-driving activities” occurred within the United States, and thus were not taxable in Ireland. Apple, however, has kept billions in profits parked overseas, which allows the company to avoid paying repatriation taxes in the U.S. while simultaneously arguing that the foreign jurisdictions in which the funds are held also do not have the authority to tax the money. Apple’s financial strategy, which is employed by many other multinational companies, is currently legal, but has angered governments which feel that they are being wrongfully deprived of tax revenues. This includes the United States, which voiced opposition to the European Commission’s original 13 billion euro fine, not because the then-Obama administration was seeking to defend an American company from injustice, but because they feel that the taxes should be paid to the U.S. government instead. Reuters sources do not indicate if the U.S. process to intervene in the case was initiated during the Obama administration or if it is a new initiative of the Trump administration. However, President Trump has proposed a corporate tax holiday of as little as 10 percent on repatriated cash, something for which Apple CEO Tim Cook has advocated. Regardless, don’t expect a clear resolution any time soon. The General Court isn’t likely to hear the case until late next year.